Easier said by phonetically sounding out the Spanish pronunciation. I won’t get into Spanish grammar (unless you really want a lesson), but let’s just say things are backwards from English and they have a few extra ‘letters’ added to their alphabet. Back to Tomatillos…I discovered them a couple years back while in Mexico. They served this wonderfully tart but spicy salsa paired up with tortilla chips or cooked in pollo enchiladas verdes (green chicken enchiladas), chilaquiles verdes (Mexican Breakfast item – FABULOUS) or as a topping on tacos and quesadillas. Just about anything gets a dollop or two of the green stuff. They use it like we would use pickle relish or ketchup, so putting it on a hamburger or hotdog would bump up your flavour meter tremendously. I was at my local Farmer’s Market one day late last summer when I spotted a local farmer that was actually selling fresh Tomatillos grown here…in Canada, land of ice and snow for 6 months of the year. I still have yet to see them in the grocery stores except the canned variety in the Mexican aisle, but I was totally gobsmacked when I saw fresh, home grown tomatillos. I immediately bought an 8 quart basket of them to make my very own Tomatillo Salsa. I was soooo excited….way too excited to do anything else that day other than to start making the salsa, the heck with work, housework or laundry, I was on a mission. 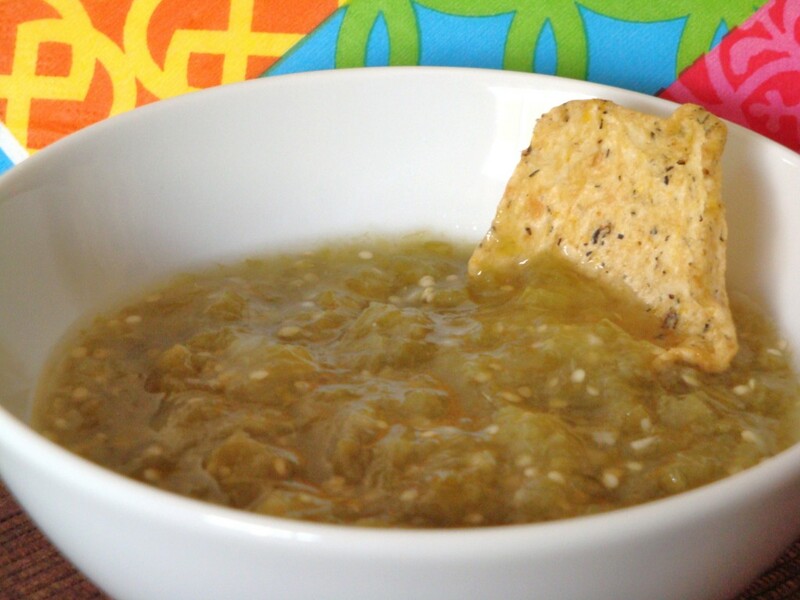 So here is my ever so yummy, spicy, tart Tomatillo Salsa. I hope you enjoy it! * Remove the husks from the tomatillos and wash well in cold water to get the sticky substance off them. Cut tomatillos in half and remove cores (like tomatoes). Chop tomatillos and measure out 5 1/2 cups. In a 6-8 quart stainless steel, enamel or non-stick pot, combine all ingredients and bring to a boil over medium high heat, stirring constantly. Reduce heat and boil gently, uncovered, stirring frequently for about 10 minutes. Remove from heat and puree with a stick blender or food processor to desired consistency. Ladle into hot, sterilized half-pint canning jars leaving a 1/2″ headspace. Wipe jar rims, centre lids and screw bands on fingertip tight. Process in a boiling water canning bath for 15 minutes (start timing when water returns to boiling). Remove jars from canner and let cool on wire racks. Label once cool and store in a cool place. Hi! 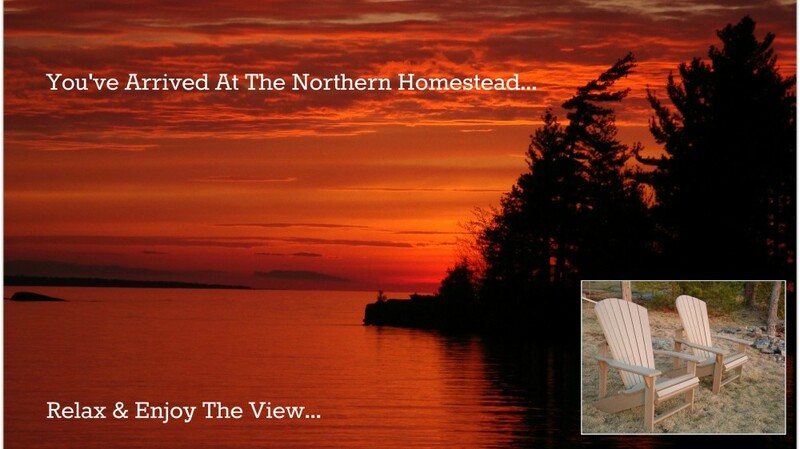 I’ve been following your site for some time now and finally got the bravery to go ahead and give you a shout out from New Caney Texas! Just wanted to tell you keep up the good work!